Join us on Friday, December 2, 2016, 7:30 pm, at Calvary Baptist Church, 28924 Ruus Road, Hayward. Bring your questions, stuff to share and ideas for new presentations. Come to vote for your choices for the Board of Directors. Current nominees include Paul Cooper, Chuck Horner, Michael Wong, George Kornbluth, Jan Fagerholm, and Bayle Emlein. 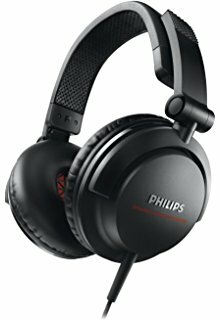 This month's prize is Phillips' SHL3300 DJ Over-Ear Headphones. Features include 40mm Neodymium drivers for deep and defined bass, compact foldable design for easy storage on the go, earpieces that swivel for 165 degree monitoring and flexibility, soft ear cushions for extended comfort and wide, lightweight headband with EVA foam for comfortable fit. Get your tickets at the meeting!